Dress it up, dress it down, or use it to stay organized while you're on the go. Our carry-all pouches can do it all. They're crafted with 100% poly-poplin fabric, double-stitched at the seams for extra durability, and include a durable metal zipper for securing your valuables. Our carry-all pouches are available in three different sizes and with two different bottom styles: regular and t-bottom. 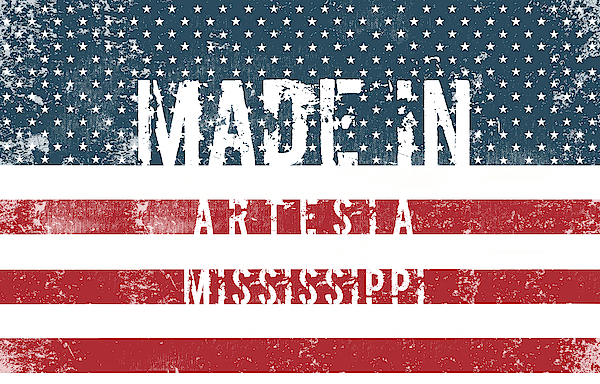 There are no comments for Made In Artesia, Mississippi. Click here to post the first comment. The large pouch was advertised as 12.5x8.5 inches. This should accommodate a sheet of paper but it did not without cramming the paper down inside to zip the pouch. So, for my intended purpose, to carry documents, the pouch was useless and went to serve another, unintended purpose. The graphic and quality was fine. Love, love, love the Image. The bag is darling, quality product! 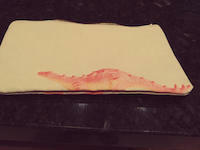 The bottom seam was stitched so closely to the dinosaur that the legs of the animal were incorporated into the seam and ruined the appearance of the overall design. This has occasionally been a problem with other designs and seam stitching. Quality control not in place. An accurate replacement should be provided. This was to be included in young granddaughter's birthday package. Was unsuitable to gift. This product was stitched well and the image as featured on the FineArtAmerica site was positioned on the finished zippered pouch as promised. Quality of product, placement of image was better. Actual placement of lettering of "enjoy the Ride" did not all appear on same side of zippered pouch. Only "the Ride" appeared on the front panel with the bike. In view of timing to provide this as a gift to my granddaughter I no longer have possession of the pouch for photographing. 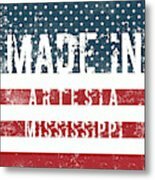 This can be achieved if needed in order to prove my point and to provide the customer a better finished product as featured on their FineArtAmerica site. 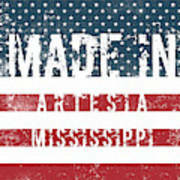 Born, grown up or raised in Artesia, MS? Patriotic American stars and stripes USA style souvenir. Get this great gift for yourself or your someone special, friend, lover, relative, wife, husband, brother, sister, siblings, coworkers, mom, dad, son, daughter or any other teen or adult. Design by TintoDesigns & GoSee.online. 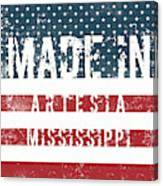 All carry-all pouches ship from our production facility within 2 - 3 business days of your order.